The animation is truly unique and I recommend seeing it in 3D. The Land of the Remembered is colorful and stunning. While the story won’t be the greatest thing you’ve ever seen, it did have several refreshing aspects. One is the Mexican setting and the legend of the Day of the Dead festival. Another was that although the two friends, Manolo and Joaquin, are vying for Maria’s hand, neither is perfect nor a villain. The best characters are the two Gods. La Muerte rules the Land of the Remembered and Xibalba rules the Land of the Forgotten, and their love-hate relationship is charming to watch. Death plays a major part in the story and there is some violence, so not recommended for the really young. 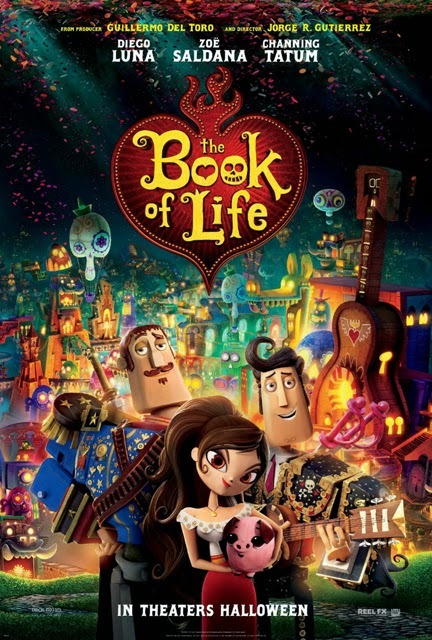 For something refreshing and new, The Book of Life is a fun watch. According to Blastr, there could be more John Carter movies, just not with Disney. Edgar Rice Burroughs Inc. regained the rights to the books and is seeking other opportunities. "We will be seeking a new partner to help develop new adventures on film as chronicled in the eleven Mars novels Burroughs wrote," Burroughs Inc. President James Sullos said. "This adventure never stops." I enjoyed the books and really dug the 2012 John Carter film, so I hope it happens. Have you seen the trailer for Tommorrowland? 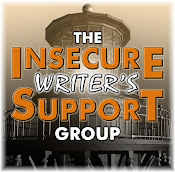 The amazing Sarah Allen is our guest at the IWSG Site today, discussing how helping other writers helps you. Thanks to everyone who participated in the Survive and Thrive Blogfest, and my other co-hosts, Stephen Tremp, Michael Di Gesu, and Diane Wolfe! DL Hammons is hosting his Déjà vu blogfest again. Last Wednesday I pitted Thin Lizzy against Metallica with the song Whisky in the Jar. However, after casting my vote for Metallica, we have… a tie! Have you seen The Book of Life? Want more John Carter Movies? Excited about the new releases? BOTB results surprise you? Know any of the trivia? And where should Mini-Alex go next…? Hi Alex - my Survive and Thrive will appear soon - Lenny came first, understandably. Yes I remember Tina quite often ... perhaps Lenny next? Book of Life sounds pretty good. I am not a fan of horror, just of Johnny Deep - Sleepy Hollow. Tina is smiling down on your sunflowers. I do want to see the movie. I saw it in a preview over a year ago and it looked fun then... so much so that I remembered it when it finally got released. The tie on the bands is cool. I don't know any of the horror movies. Casper is as scary as I go (big chicken in the house). Book of Life sounds good. I'll have to keep my eye on it. Thanks for letting us know about it. Good luck with your edits. And yay for all the new releases! Yours is the first review I've read of The Book of Life. My son is wanting to go see Big Hero 6 next month, so hopefully he'll sit through it because I want to see it too! the ring, I hated this movie! John Carter is Edgar Rice Burrough reincarnated! Look forward to Tommorrowland. First time I saw the Tomorrowland trailer, looks good. Congrats to everybody with a new book on the market! Mini Alex does get around a lot! Rhonda, correct, and I hope she is. Christine, I want to see that one! Interstellar first though. I'm not too surprised by the split decision in the BOTB post. I'm surprised McCarthy didn't eschew Metallica and go Lizzie all the way. So far none of the sunflowers I planted have grown. A few may have sprouted some, but they might be weeds since I don't know what sunflower sprouts look like. Best of luck with your edits. Must not have been much if you will get it done in a week or so. Yeah, you!!! The book of life sounds cute! Edits from the publisher: The fun work begins and the story becomes real. Congrats. Love the sunflowers/mini-alex. Odd, I've seen nothing about The Book of Life. No ads, no movie trailers. It looks like a film I'd enjoy. I think Mini-Alex needs to jump in a good old fashioned leaf pile. One of the joys of autumn. Unfortunately I'm too chicken to watch horror movies so no ideas on the trivia. Hi Alex! I'm liking the new website look! I really liked the 'John Carter' movie, but I do think they made some serious marketing mistakes, not calling it 'The Princess of Mars.' I also don't think the lead actor was well-known enough to pull off marketing the movie to the masses. There were a few things that could have been better, but overall I thought it was a good popcorn flick. 'Tomorrowland'--hmmmmn. I think I went to Tomorrowland when I went to Disney World. Wow, George Clooney in a Disney movie. I never thought I would see the day. Congrats on the new blog header - it's lovely! "No" to more John Carter movies. Ugh. Congrats to M.Pax Gwen, and Jennifer on their releases! It's too early for trivia... Brain still asleep...Where's my coffee?!! The Book of Life looks like a good movie. That's cool it explores Mexican culture too. Learning about the Day of the Dead was always fun in Spanish class. Sarah's article is so true. Writer friends are the best. The Book of Life sounds like my kind of move. Loved the John Carter movie and really excited that they'll be doing more! I so want to see that movie but will probably not see it til it comes out on DVD or I can rent it at iTunes. Sounds good. As I don't watch horror movies I don't know your trivia. Lee, bet I would've pulled them by accident. LD, that I can do! MsMariah, they should have called it Princess of Mars. I love the Mini-Alex composition with sunflowers, nice! Glad to hear your thoughts on The Book of Life. The kids are way excited about that one and I wasn't so sure. I'm sure they'll love it. Huge congrats to Mary, Gwen, and Jennifer. I'm of to check out the Deja vu blogfest! Have a great day, Alex! Best wishes on your edits. I've seen the trailer for Tomorrow Land. Was that a Kickstarter movie? I thought I read that somewhere. I could certainly do with more John Carter movies. And Tomorrowland looks surprisingly good. best of luck with those edits! I need to see Book of Life. And I love the mini alex pop-ins!! I'd watch more John Carter. Wish Disney were up for sequels, but that won't happen. I love the movie quite a bit. #3 is Sleepy Hollow. Is #5 The Ring? I'm not sure about the rest. I'm not so good at this stuff these days, but if you'd asked me in my 20s, I could have told you WAY more than I should have been able to tell about Hollywood and celebrities! I found john carter to be a fun movie and would watch more. Kind of morbid sounding for a Book of Life but didn't Monty Python already do The Meaning of Life, after all? Poltergeist freaked me out. I couldn't watch the face ripping scene. Mini-Alex needs to visit a pumpkin patch. Wow, I knew all but one of the trivia answers. That never happens! The Book of Life sounds great Alex. Saw The Equalizer last night. Oh my goodness! I hope it gets a sequel. Big 6, Dark Places, Interstellar (hopefully) and a couple of other movies are on for next month. I only got to see two this month so we'll see. We miss you Tina and Mini-Alex needs to get ready for Black Friday...over the computer. Sorry M.A. but those crowds would...devour you (flashback to M&M AD). Saw Tomorrowland trailer on Holywood Spy blog and it looks like a great movie. I have not seen the film. A tie? Wow! I liked the first one so I will go with that:) I don't know the first one but 2. The Thing 3. Edward Scizzorhands(spelling??) 4. The Omen 5. The Ring 6. Poltergeist. Now I think The Ninja should be found in the Great Pumpkin Patch! Would love more John Carter Movies! While the first one was badly panned, I know more could be done. We saw "Fury", and appreciated the sacrifices of that generation, as well as ours. Mini-Alex should go in Halloween candy. Tomorrowland is now a have-to-see. I kept meaning to watch the trailer and forgetting. Thank you!! Tomorrowland looks pretty cool. So does the Book of Life. Love the Mini Alex picture. I can't believe how big those sunflowers are! Crystal, they'll like the humor. Stephanie, you got two. And I'm still full of movie data. Intangible, and that one was just funny. Sheena-kay, I still want to see The Equalizer. Susan, now I can do the Halloween candy! And you got two. I'm guessing #3 might be Casper the Friendly Ghost, or whatever the name of the Casper movie around that time was. That was one of relatively few movies I've seen in theatres in recent years. I'm just going to wait for DVD for that one. It's not grabbing me. I intend to see book of life. On NPR, the creator sounded quite convincing. Congratulations to all the authors who have published books. And good luck with your editing, Alex! Don't think I will ever look at a sunflower again without thinking of Tina. Lovely picture, thanks for sharing with us today. Good luck with the editing and loving the new look here. Congrats to the new releases. I noticed your blog banner changed. It looks great. Good luck with Dragon Of The Stars edits! 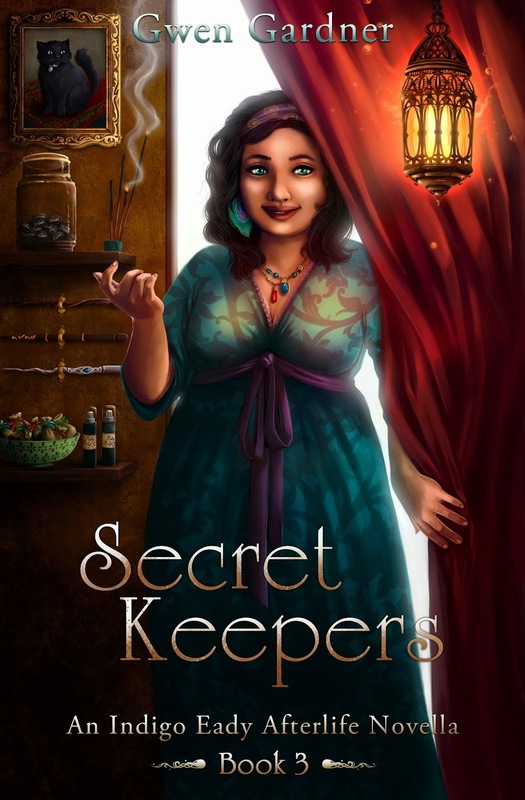 More book releases - congrats to everybody! I actually know most of the movies this time, all but 2 and 5. I'm much better with horror movies than westerns :). Wow, look at all the amazing covers. Love the video clips. I knew it was George speaking. Is there a prize for knowing??? Hiding Out looks like fun. There aren't enough fun movies these days. And they should be set in tropical climates where there's lots of sun and water and tanned bodies. What do you think? I'm sure my dad would love more John Carter movies...he's a HUGE fan. And I'm not even going to attempt the horror trivia...I'm such a chicken. JE, funny that Thinallica won. Joylene, if they are beautiful women, I'll take the tanned bodies. Tomorrowland looks mighty fine. And I'd love to see more John Carter movies. Hmm... 'The Book of Life' looks cool, but I'm utterly tired of the "two guys after one girl" thing. -_- I'd like to think we can have a movie with a female lead where her relationship status isn't the story. I would like to see more John Carter movies, and that trailer looked interesting. Don't watch much horror so didn't know the answers, but, I want to see tomorrowland! Good trailer! Not sure about book of life but enjoyed your take on it, as usual! And I too want more john carter!!!! I think Mini-Alex should grab a pumpkin spiced latte and head over to the pumpkin patch. I really enjoyed the John Carter movie and I'm a Burroughs fan because of Tarzan. So more Carter and Mars movie will be a real treat for me. I'm hoping to take the kiddos to see Book of Life next week since they have no school Thursday and Friday. I love how you do new releases on your posts! 6. Poltergeist (one of my favs)! Mason, there is a lot more to it than that. Thanks, Shannon. And you got three right. I don't think I've ever heard of the Metallica version of Whiskey in the Jar, but I love Thin Lizzy's. Good trivia! Here are my guesses without any goggling. I'm confident in 4/6 of them. Haven't seen The Book Of Life. I guess I'm watching too many obscure movies instead. This is the first I've even heard of The Book of Life. I need to get out more. Also, that may be the oddest BOTB vote count I've ever seen. Can I split my vote into thirds next time? One of those thirds, of course, being undecided. Love those Halloween horror flicks! I like the trailer for Tomorrowland. Thank you for sharing. Stephen T. McCarthy is a funny, funny guy! John, correct, and that was Peck. Four right! Brandon and Bryan, why not? You could then vote for yourself. Alex, thanks for sharing the review of The Book of Life. I'll have to check it out. 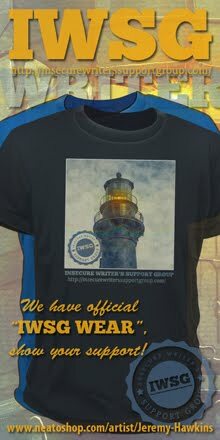 Although I didn't participate in the Survive And Thrive Bloghop, I stopped at several of the blogs that participated. I learned lots of great information. The sunflowers are beautiful. Since this is Halloween month, perhaps Mini-Alex should next visit a pumpkin patch or a haunted house. What about jumping in a pile of leaves? I think Mini Alex should go to a pumpkin patch and a turkey farm. The turkeys would love to chat with him. He would understand their gobbles because he's just awesome like that. Hello, Alex! I am excited to see Book of Life. Good luck with edits! What a great book title! 'The Book of Life' looks and sounds interesting. Thanks for sharing. I've seen the trailer fro 'Tomorrowland' and it also looks very good. I would certainly love to see more 'John Carter'. IMO the best BOTB are the ones that split the votes up. A tie - that's awesome. Thanks for mentioning The Initiate. Congrats to Gwen on her new one! I'm terrible at trivia, but #4...Beatlejuice? Maybe?? Beautiful mini Alex picture in remembrance of Tina. Haven't seen that movie and I liked John Carter. Mini Alex should visit a haunted house. Hey Alex! Sorry I haven't commented on awhile here. I've been so busy with life. Anyway, I saw The Book of Life in cinemas last weekend and enjoyed it immensely. Loved the messages in the film. The animation was gorgeous despite I did not see it 3D. One of the best animated films I've seen in 2014. I'm too lazy to go see movies in the theater, but I'm looking forward to when The Book of Life is released on DVD. As for the trivia, I knew 1,2,3, and 6 without googling, but I had to look up 4 and 5. Good luck with your edits! Has mini-Alex been to a pumpkin patch yet? I'm also like Jocelyn. I wait for Amazon or the satellite to have what I'm looking for. John Carter was good the first time, but I wasn't super impressed. Still, I might watch another. But, I'm tired of YA/MG/cartoon movies. I'll be watching John Wick though. The only trivia question I'm positive is #4 - The Omen. I'm still learning a lot from the Survive and Thrive Bloghop! Mini Alex is cuter than Elmo! I loved the first John Carter movie too!! Never read the books, tho, I loved the actor! Susanne, a pile of leaves is next and I'll see what I can do about the pumpkins. Faraway, and will so many votes, I couldn't believe it was a tie. Susan, I'd have to find one! Livia! Good to hear from you. And the animation was amazing. Joyce, you got one right. Haven't seen Book of Life, but I did finally see Snowpiercer and loved it. Good luck with the edits. Perhaps mini-Alex should go to a pumpkin patch, since it's Halloween time and all. How did I miss Wednesday? Book of Life did look interesting and different in the commercials. Love the sunflowers with Mini-Alex! How sweet! 1. Shaun of the dead!!!! The book of lIfe sounds like an interesting watch. Love the DVD cover! I'll have to go back and listen to them. I know one, but not the other. Lots of wonderful blogfests going on! Movie trivia: Peck & Remick- The Omen. Williams & Nelson -Poltergeist. Depp & Ricci-Sleepy Hollow. Pegg & Frost- Night of the living dead? not sure about that one. Russell & Brimley, The Thing. congrats to all new book releases!! Mini Alex needs to got to a pumpkin patch or apple picking! The Book of Life looks like fun. Will put on my must see list! I hope the edits go well Alex and, if they do make a John Carter movie, I hope it's more faithful to the books because those are amazing. Just not with Disney... exactly. Mini Alex looks great with those sunflowers! Shell, that was a good film. Pumpkins are on the list now. Heather! No idea. You got five though. Cathrina, you got four right. Donna, pumpkin patch is on the list. I want to go to Tomorrowland and Clooney is the Wizard-sign me up! I so want to see The Book of Life-thanks for sharing your review! Oh, your blogfest sounds amazing-but they always are! I have missed you-your blog is kapow worthy-I know I have missed a lot! The Legend of Sleepy Scissorhands! I haven't seen the movies you mentioned at the top of the post, not yet at least. Have fun with the edits. Book of Life does sound like fun. I got two of the trivia questions. One I've seen so many times I probably still know the script word for word - I wonder if it would scare my kids? Yes dude, you are not imagining this! I'm almost back to my usual snarky, um proactive self. I note you are the ever busy one, my kind friend. Not really good on trivia, but I definitely know #3-JD :) The Legend of Sleepy Hollow, #4 is The Omen, I think and #6 is Poltergeist. I'm clueless on the rest. At least I know I've got one right! Yay! poltergeist was the only one i could remember, not much into horror! Dragon of the Stars?? Cool title. I like your new banner, Alex -- books front and center, where they belong. I'm very interested in the Book of Life movie. Hope I get to see it soon. I think I got all the movie trivia, but we'll see. I love mini-Alex with the sunflowers. If that doesn't bring a smile to everyone who saw it, I'd be shocked. 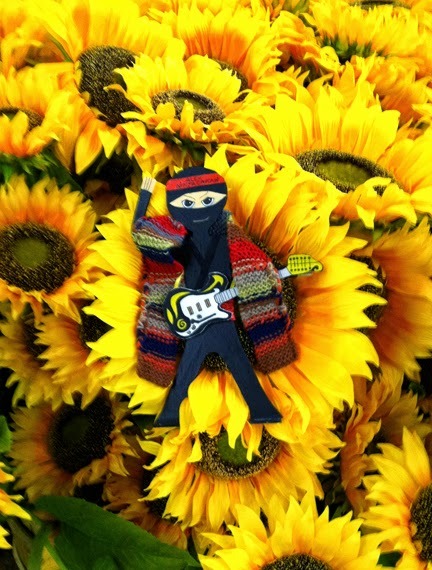 Mini-Alex in the sunflowers is very touching. Lenni, that made me chuckle. Tonja, recite it to them and see what happens. Gary, very good to hear from you. Tara, at least you got one. Julie, they are all done. Ah those edits. Good luck with those. The end is near. Love the trailer for Tomorrowland. Looking forward to taking the kids to see that. Interesting topic and thoughts. I am not an author as I blog for fun and to release some creative energy via poetry. I have often wondered why writers mainly network with writers? On to the next topic I think it might be fun for the mini ninja to visit some followers, send him on a road trip for a couple of days and then that blogger could report on his adventure. Think of all the great stories we would read. I am sure some would be quite amusing. Keep writing and congrats to all those who have been published.